With the growing number of refugees, particularly in 2015, many initiatives for support and assistance have been founded and established in EU countries, especially in Germany and other countries most affected. In Germany activities especially for children and young refugees are supported by the government with a special program “Welcome to friends – alliances for young refugees” (“Bundesprogramm „Willkommen bei Freunden – Bündnisse für junge Flüchtlinge“). Six regional service offices help cities and counties to welcome refugee children and youngsters to daycare and school and to accompany them on their transition to work. They not only provide advice and qualifications to administration and community staff, but also assist in the establishment of local alliances of local authorities, associations, and education and refugee institutions. Also on local and regional level a lot of alliances between NGOs and initiatives were established. Several internet portals present these initiatives and their work and help interested people to find them in their region. 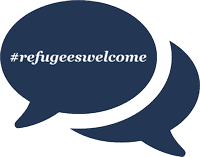 In Cologne, Germany, for example nearly 300 initiatives working on refugee assistance and integration, are coordinated by the German-wide online tool “Refugees Welcome Map”. For the preparation and implementation of Bio-Farm visits cooperation with local or regional refugee initiatives can be very helpful. They can ease the access to an appropriate target group, can give information about the background, living condition and expectation of them, and can motivate young refugees to participate at activities on a (Bio-)Farm. Additionally, they can help to solve bureaucratically challenges and possibly contribute with financial funding.